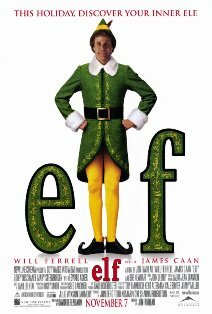 Elf is probably the best lighthearted Christmas film of the early 2000s. It blends Will Ferrell’s particular blend of hilarity with a lighthearted script that appeals to people of all generations. Many of the scenes are extremely memorable as Will Ferrell downs candy for breakfast, has super powered snow ball fights and delivers many great lines. The colors seem to pop right off the screen as Buddy the Elf’s costume is a vibrant shade of green. He sticks out well in Manhattan’s shades of grey. The best part of the film is its dedication to sticking to Christmas movie traditions. This is evident in the beginning of the film at the North Pole. 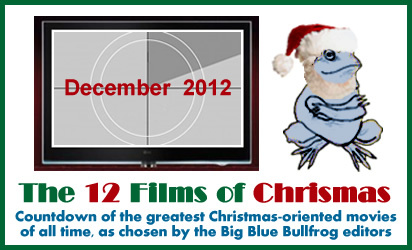 Here we see a cinematic style made to evoke all the Christmas classics we grew up with as children. It all looks like a new and vibrant version of the stop motion used for television specials such as Rudolph the Red-Nose Reindeer. It’s interesting to note that this film really feels like it could fit right in with those television specials as that would point to some kind of shared cinematic universe; and since the director of Elf; Jon Favreau was one of the first directors to help Marvel start their own cinematic universe this idea sort of clicks. Elf feels like those specials in more than one way. It even adds in a bit of Miracle on 34th Street with the addition of Buddy working in a fictional Gimbel’s, as the store no longer exists, instead of Macy’s. It is the story of a human Elf not fitting in and going on a journey to discover his purpose whilst bringing Christmas cheer to New York City. This film should also be noted for being one of the first films to put Will Ferrell on the map. This was made even before his classic of modern cinema Anchorman. It also showcases Zooey Deschanel before she was a household name and Peter Dinklage before he threw his hat into the Game of Thrones. Of course this film also has its Ebenezer Scrooge played by James Cann who is Buddy’s biological father. This movie really is a combination of all the things that people love about Christmas films. Cann forgoes business for family; Buddy inspires people to believe in Santa Claus whilst helping him fix his sleigh and there is even a romance between him and Zooey Deschanel’s character. This film should be a Christmas classic for many years to come and would have been higher on this list if it was a bit older; since age is the best judge of a film’s value.